Munising Falls iphone x case by Adam Romanowicz. Protect your iPhone X with an impact-resistant, slim-profile, hard-shell case. The image is printed directly onto the case and wrapped around the edges for a beautiful presentation. Simply snap the case onto your iPhone X for instant protection and direct access to all of the phone's features! A great shot. Congrats on your sale. 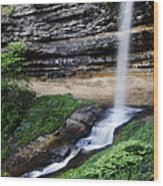 Munising Falls is a waterfall located in Munising in the western-most portion of the Pictured Rocks National Lakeshore in Alger County. 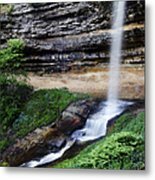 The falls drops about 50 feet over a sandstone cliff. With the exception of the spring thaw, the amount of water falling is relatively small. 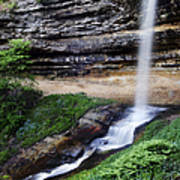 There are trails leading to multiple viewpoints around the falls. In the winter, the falls freeze forming an ice column. 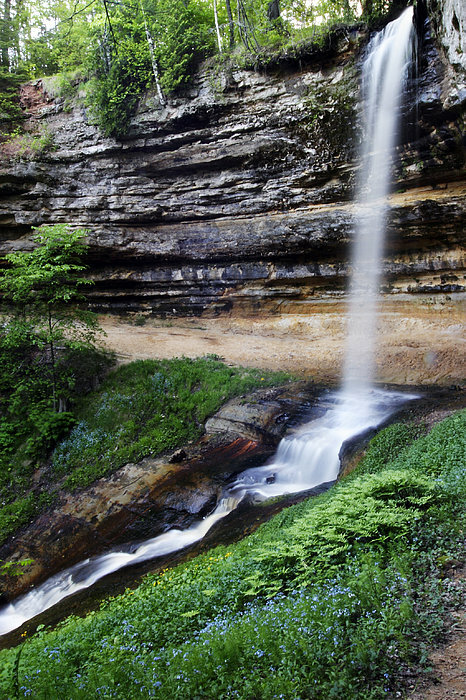 Munising Falls themselves are off-limits to climbers, but ice climbing is popular in the area and there are other spots in the vicinity where climbing is allowed. Copyright � Adam Romanowicz. All Rights Reserved.